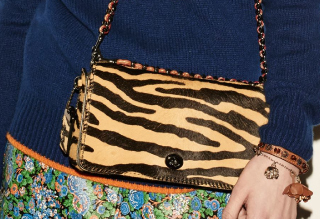 Coach was founded in 1941 as a family-run workshop in a Manhattan loft. Six artisans hand-crafted a collection of leather goods using skills handed down from generation to generation. Discerning consumers soon began to seek out the quality and unique nature of Coach craftsmanship. Now greatly expanded, Coach continues to maintain the highest standards for materials and workmanship. Today Coach is the leading American marketer of fine accessories and gifts for women and men, including handbags, women\'s and men\'s small leathergoods, business cases, weekend and travel accessories, footwear, watches, outerwear, sunwear and related accessories.